We’ve always had something of a soft-spot for the Mazda CX-3. It’s always been one of the more handsome compact SUVs on the market, it’s well screwed together, and drives better than it has any real need to. 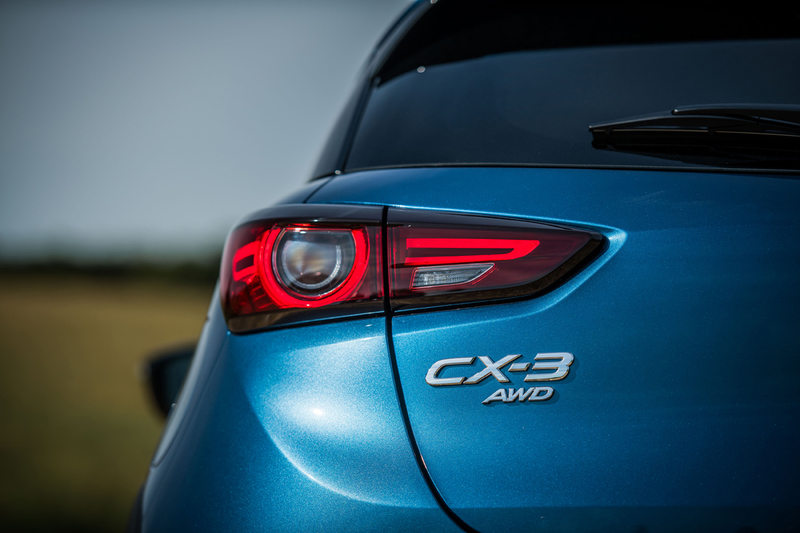 But Mazda as a company isn’t prone to resting on its laurels, so for 2019 they’ve given the CX-3 a bit of a tweak to help strengthen its appeal. 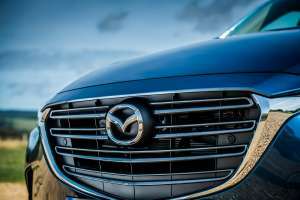 From the outside it would be hard to tell the difference, with only a redesigned front grille to give the game away. 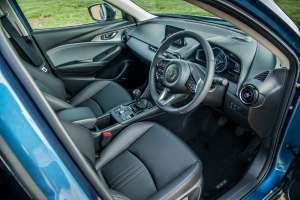 Inside, the conventional handbrake has been replaced by an electronic push-button affair, and that’s allowed the multimedia controller to be moved forward slightly where it falls more conveniently to hand and also freed up space for a practical storage box under the padded armrest. 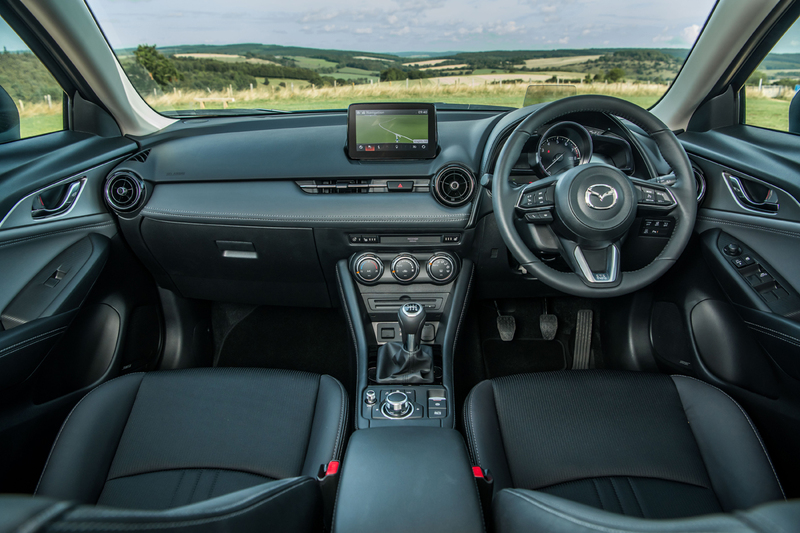 Mazda say they’ve been keen to focus on improving comfort and refinement, so for this year the seats use new urethane foam cushions, there’s thicker sound insulation in the doors, and a thicker headliner that absorbs a touch more road noise. New coil springs and dampers have been selected to improve ride comfort, while a revised front anti-roll bar and recalibrated power steering are aimed at sharpening the handling a touch. For the most part this is all very successful. 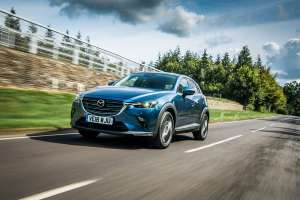 It’s perhaps understandably not quite as sharp as some of Mazda’s other offerings, but the changes only enhance its sure-footed feeling and its sense of dependability, which is perhaps what small SUV buyers are really interested in. 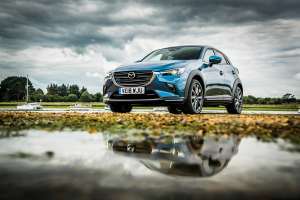 The 2.0-litre petrol engine is much the same as it was before, other than the adoption of new edge-cut pistons and high-pressure fuel injectors, and that’s no bad thing as it continues to offer decent, usable torque with the added bonus of respectable economy. 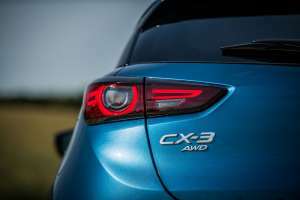 We spent a week with the 150ps version mated to the six-speed automatic, during which it notched up an average of just over 40 mpg. If economy is your prime consideration, the new 1.8-litre diesel might be more your thing. 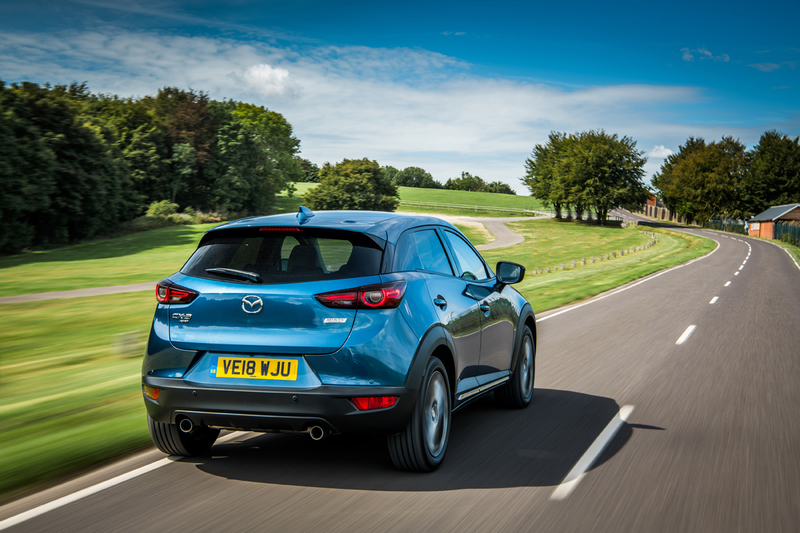 It delivers 115ps and a fairly wodgey 270Nm of torque, with official figures suggesting economy of up to 64.2 mpg. 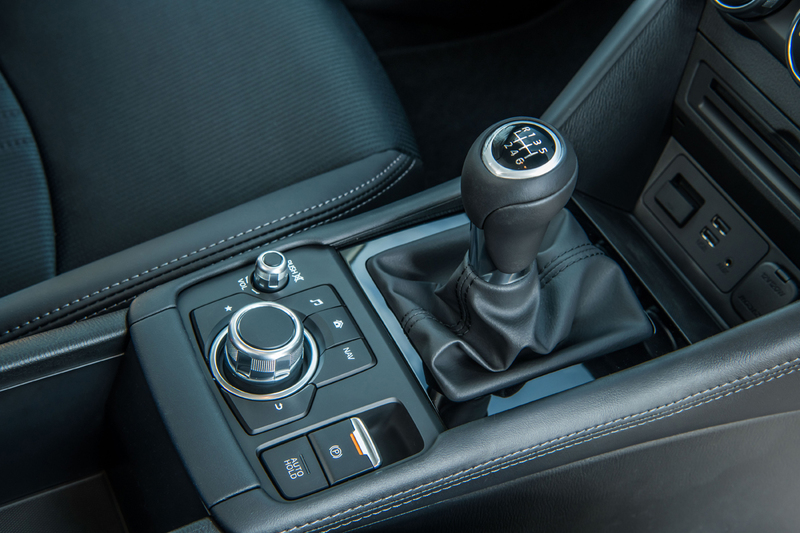 The downside is that it’s only offered in two-wheel-drive form with a manual gearbox. 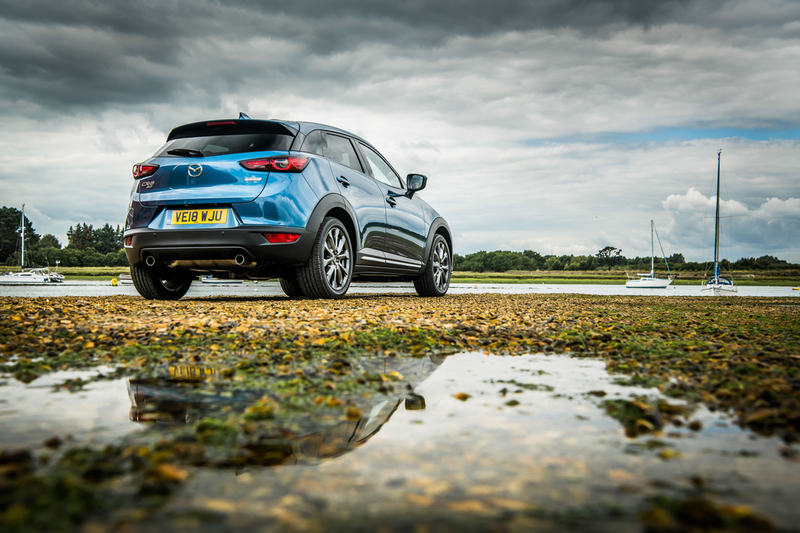 A couple of our tiny niggles with the CX-3 still remain, though; the tucked-away tailgate release can be a little tricky to find, and its location means it quickly gets covered in road grime in winter – as does the reversing camera. 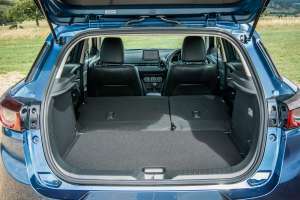 It’s also a shame, given how Mazda excels with the retractable load covers in the both the Mazda6 and CX-5, that it resorts to a hard parcel shelf for the CX-3 that is a challenge to stow when the seats are folded. That said, it’s still a practical little tyke. 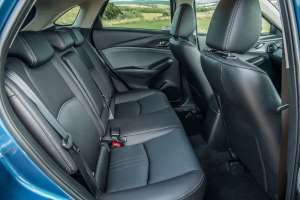 The seats fold easily, there’s a dual-level boot floor and the load sill is fairly modest. With the seats folded, you’re looking at up 1,260 litres of space back there. It should prove safe in an accident, too. 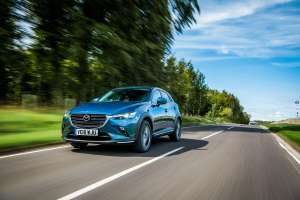 Euro NCAP awarded it four stars back in 2015, and all models bar the entry-level SE Nav feature Smart City Brake Support and Lane Departure Warning as standard. 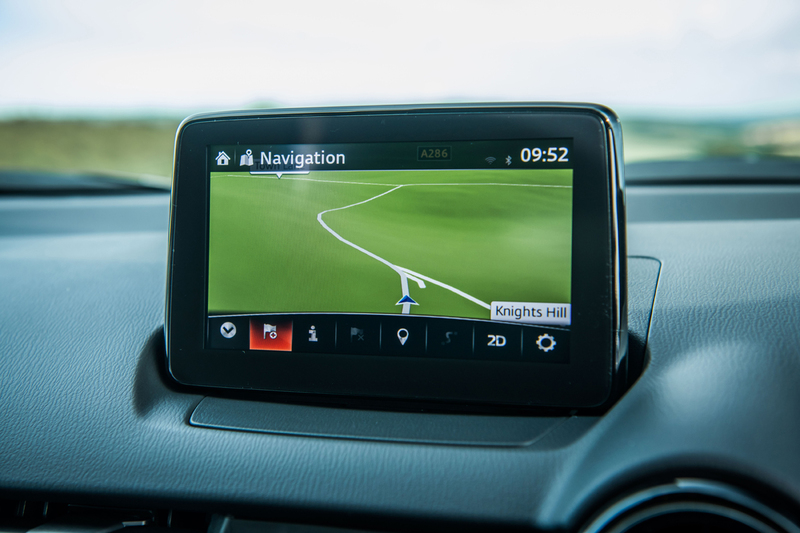 An optional Safety Pack on top-spec Sport Nav models adds blind spot monitoring, rear cross traffic alert, driver attention alert, Rear Smart City Brake Support, and adaptive LED headlights. We found the driver attention alert a little annoying, often suggesting we took a break after only half an hour in the car, but everything else behaved itself impeccably. And, at long last, you can now add Android Auto and Apple CarPlay to Mazda’s excellent MZD Connect infotainment system, although it’s a dealer-fit accessory rather than a factory install. Prices for the 2019 Mazda CX-3 start at £18,995 for the 2.0-litre 121ps SE Nav+, while a 150ps Sport Nav+ AWD comes in at £23,795.